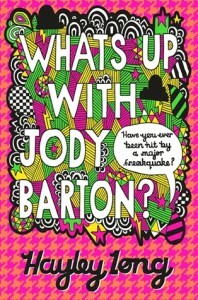 This review was first posted on Music, Books and Tea.There’s only one way to suitably start this review, and it’s by saying that What’s Up With Jody Barton is a fabulous book. If ever someone needed a good starting point with UKYA, then this book would definitely be one of my picks for them. This book contained so many positive aspects, and it was just fiction done right.There are so many themes within Jody Barton, and I honestly feel that this is a book that should be taught in schools across the country because it deals with so many important topics that kids need to be taught about. And everything that appears in this book is dealt with realistically, which is something that I think is really important in books like this one. 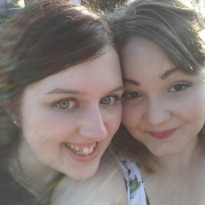 I honestly imagined that I was sat at a table in Chunky’s Diner watching Jody and Jolene work and bicker with one another, which I loved.There are LGBT themes within Jody Barton, and they are tackled with the honesty and respect they deserve. There isn’t any white-washing or stereotyping in this book. Yes, there are scenes that aren’t so easy to read, but then they deal with topics that I imagine aren’t that easy to deal with in real life.Jody’s family are so awesome. They definitely take the prize for being the best family in any UKYA that I’ve read. They’re the kind of people I wish I knew in real life, and I definitely wish I had a Chunky’s Diner near me. What I loved about them was the fact that they are all there for one another when it matters. Yes, they argue a fair bit, but what family doesn’t? They’re not afraid to make amends and support one another when it matters. This was a family that had been written right, if you understand what I mean. So often, families in YA just disappear, but in Jody Barton, they were there nearly every step of the way.If you’re a fan of UKYA and you haven’t read What’s Up With Jody Barton, then I highly recommend that you do so. Hayley Long is definitely an author that I’ll be checking out again in the future.